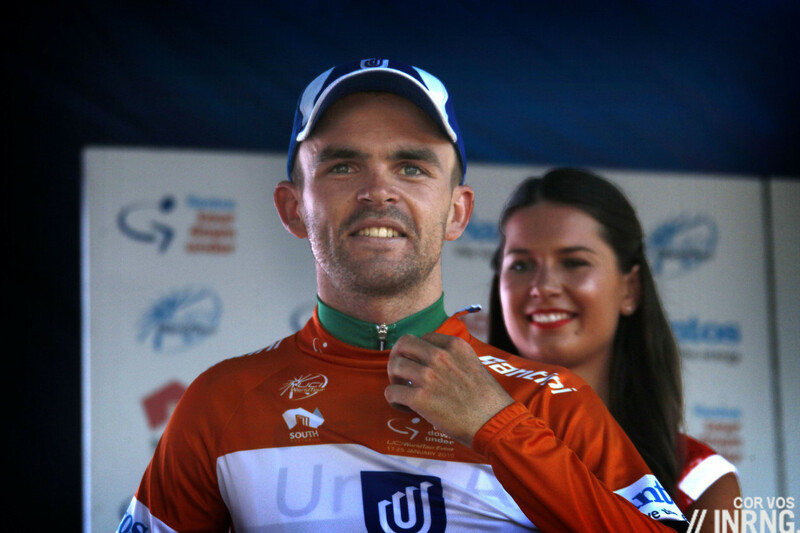 Jack Bobridge is the next to have a go at cycling’s Hour Record. Once the record was very prestigous but today it seems to be a record cherished within cycling rather than beyond it. However it is the ultimate chance to define and redefine a career. Jens Voigt’s attack on the record was opportunist, much like his breakaways. 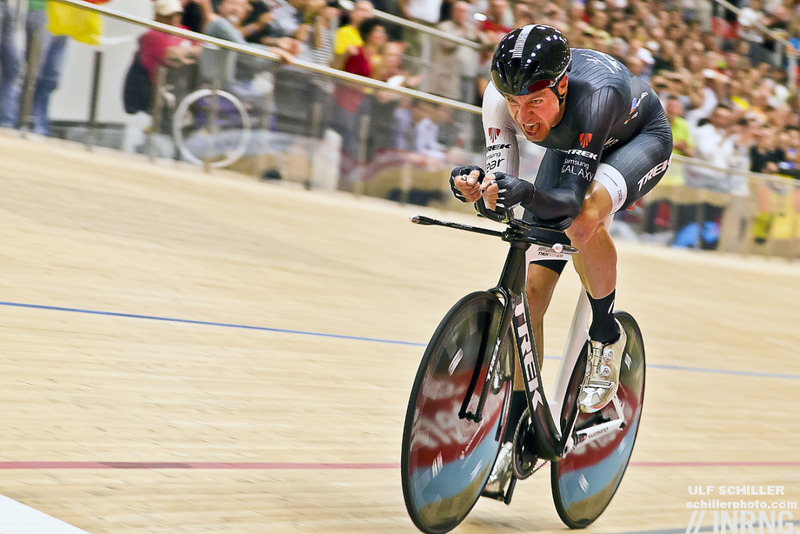 Fabian Cancellara abandoned his attempt when the UCI came out with revised rules allowing any approved track bike to be used for the UCI Hour Record, in other words a bike approved for the 4km pursuit was now OK for an hour’s riding. Cancellara’s loss was Voigt’s gain. Famous for his long raids the timing of the UCI’s rule change allowed a glorious swansong that saw him end on a high rather than the bunch catching him yet again. Next up is Jack Bobridge. Can he beat Brändle? 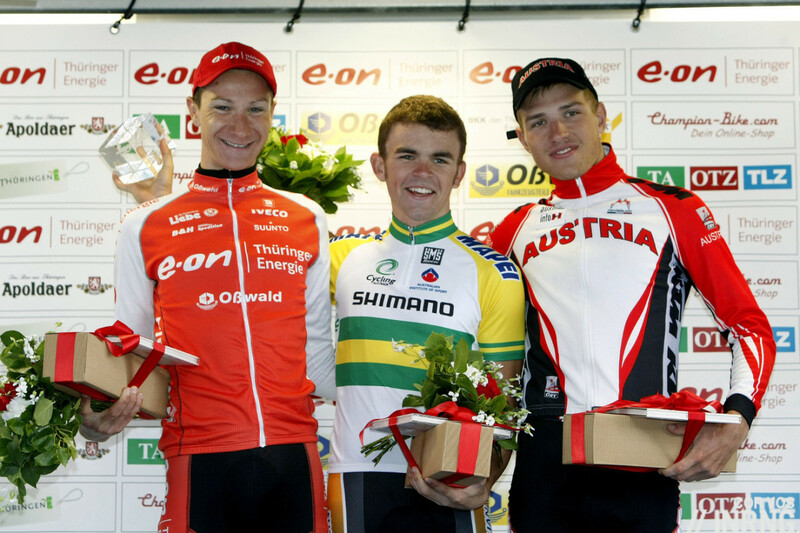 He’s done it before as the photo from the 2009 Thüringen Rundfahrt shows. He was the “next big thing” in cycling with a precocious haul of rainbow jerseys and medals. Today’s L’Equipe reports his contractual value was once close to a million Euros but the costs beat the benefits, his successes were few and far between and not that glorious either, see his Eneco Tour time trial win. Now he’s gone from a six figure salary to the modest Budget Forklift continental team with talk of glory in the Rio Olympics as he gets things, literally and figuratively, back on track. What what will this Hour do for him? He’s talking about doing more than 380W for an hour and the record attempt is far from the track specialisms which last little more than four minutes. If he can beat Brändle over an hour on Saturday he can do it again and again. Maybe the door to the World Tour opens again? Rohan Dennis goes in just over a week. He’s almost the odd one out. He’s got a fat World Tour contract in his pocket and hardly needs to make a name for himself having just been plastered over the press for winning the Tour Down Under. But this wasn’t known when the record attempt was announced and his BMC Racing team were planning on putting his Australian summer form to good use. It gives him a good intermediate goal before aiming for higher things in the stage races later this year in Europe and the USA. Alex Dowsett was planning to take the limelight and shine it onto the plight of haemophiliac children, to show them that sports and success are there if they want. Alas a training crash has put paid to this and if there’s talk about resuming the ride, perhaps he’ll study how high the bar gets raised knowing the Tour de France is a goal for this season, he’s a key rider for Nairo Quintana in the first week, especially the team time trial. Thomas Dekker is the one really hoping for publicity. The Dutchman’s out of contract and trying to piece together partners to fund a crack at the record with talk of going at altitude. Not easy for a one off show especially now the bar’s going to be set so high by Bobridge or Dennis. A successful Dutch national record doesn’t have the same ring to it and it shows the perils of a record attempt. There’s no podium ceremony for coming second. British rider Sarah Storey is going to become the first woman to have a go at the record, itself a pioneering moment but she’s ridden at the Paralympic Games so should she break the record it’ll be a coup for her ahead of able-bodied competitors and perhaps a wider symbolism that paralympians can match anyone. Finally there’s Bradley Wiggins. Paris-Roubaix seems like a fantasy thanks to all the variables but nobody is betting against him when it comes to the track, the nursery of his cycling career. As students of cycling history go he’s got an elephantine memory whether it’s the sport’s past glories or what brand of shoe a rider was wearing in 1995. For Wiggins the Hour is a chance to put the record on the shelf, his shelf and end a career on the road with roadman’s track record. On top of this there’s the forgotten element. No longer is the Hour a track version of the Eroica albeit a shallow comparison because if the old record required a “Merckx” bike it was fine to use bladed spokes, ceramic bearings, wind-tunnel tested fabrics and a catalogue of other factors that render comparisons invalid. Today’s record allows manufacturers to submit their best time trial frames, note Voigt used a road-going Trek modified for the track. This might be a big factor behind Rohan Dennis’s bid, a publicity coup for BMC especially as he’s racing on the Grenchen velodrome, a spanner’s throw from the BMC factory. Much more than a time trial, the UCI Hour Record is a career defining event that has attracted riders, teams and sponsors for a variety of reasons. Each story might be different but there’s the feeling Bradley Wiggins will write the conclusion to the book later this year. Cool and humid in Melbourne tonight. Not the best conditions. Temperature’s fine as they can fix that with heating. Humid air is faster and the air pressure is forecast to fall below 1000 hPA which is good too. If people want more on the science of air, temperature, humidity etc see http://inrng.com/2014/02/altitude-air-density-temperature-cycling/ and be sure to read the comments, in particular from Alex Simmons. Rumours are the track temperature indoors will be set to 28c tonight. I don’t know what it was when Bobridge set the 4000m world record but I did hear it was swelteringly hot that night in Adelaide. He should beat the record, the real risk being he goes out too aggressively I think (he has blown up teammates in the past in Team Pursuits). My guess is low 53kms. I think it might be being live-streamed on ninemsn.com.au. I could be wrong but I think he took the 4k record in Sydney, not Adelaide. Not sure of the weather though. It was Sydney and one big help – just that and no more – was that a weather front swept in and there was a big low in atmospheric pressure. Humid air also contains less oxygen, so there’s probably some optimum point of reduced drag vs reduced aerobic power production..
Typo- Should be bobridge or Dennis in the section on dekker. Good to read about Sarah storey having a crack as well. The paralympian angle should help push the record attempt into mainstream news. There’s no climate control at DISC. It can be filthy hot and stupid cold. There’s no climate control at any Australian velodrome. You take what you get on the day. I’m off to DISC tonite to watch this . Cannot wait. Best thing about it is that it’s combined with the final night of the Australian track championships. For $10 it’s the best value ticket in town!! Damn right it is. Very envious – hope its a great night. Is there any TV coverage? Or a web feed at least? For anyone interested in the temperature in DISC tonight, it is really hot in here (someone above mentioned 28 degrees)… Its every bit of that. It hasn’t been a hot day here in Melbourne, so its not retained heat…. Its all about to kick off…. Can’t wait!! Trying to watch live feed of Bobridge attempt, but lack of information is making it impossible. How far has he gone? How fast is he going etc? It’s such a simple bit of data that is missing, but without it it’s excruciating to watch. Close up shot of the clock is only telling less than half the picture. Clock is the velodrome estimates him to finish at 54.01kms with 10 mins to go…..
Too bad, but at least it wasn’t close. That would be killer to lose by only a few meters. Brandle did a very good ride! I’ve chopped off the opening 24 second lap to make the graph better. As you can see, there’s a very fast start and then he fades and each time he tries to get up to speed (the fall in the bars) only sees him pay the price after a few laps with longer lap times. It’s whispered but nothing is planned. He’s not a track rider and I suspect the goal of winning the opening stage of the Tour de France and taking the yellow jersey is massive for him and his team, especially with German TV back at the race. A TdF stage and TdF yellow jersey don’t match the value of an Hour Record “by any standard of decency”. One question: why don’t they, just like Roger Rivière’s attempt was the first day of a series of events at the Vélodrome d’Hiver, attach these attempts to six-day events? They could be mutually reinforcing. Kind of interesting, but six days are in the winter and any attempt needs to be tied in to a rider’s peak form and that might well be at another time of the year. As it is, some of these recent attempts are tied into track meetings of some sort. your typical six-day velodrome today is too short for any serious attempt. too much of turns, not enough of straights. I would imagine Taylor Phinney would still like to have a crack at it. Don’t know where he is at in the recovery process after his nasty crash last year but as a former track star himself I can see him putting it out of reach of anyone but Wiggo. 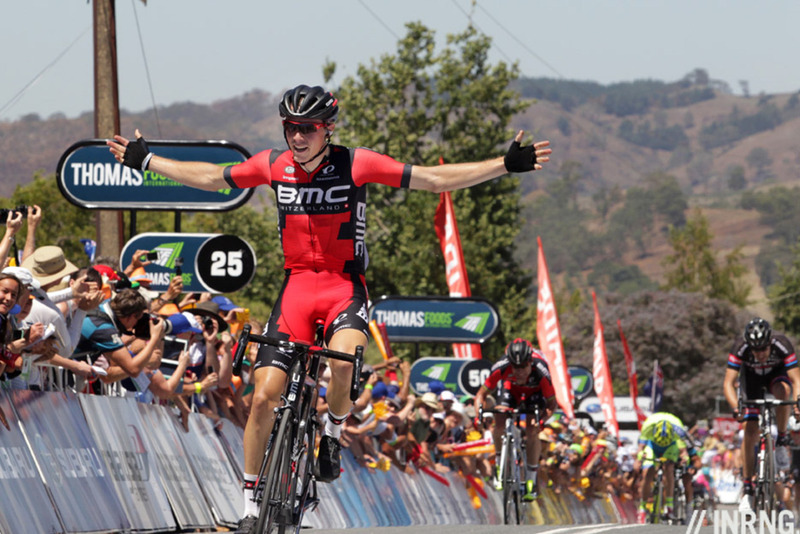 Possibly Rohan Dennis’ upcoming attempt will put the kibosh on any other BMC attempts, unless of course Dennis too fails to meet the mark. Plus given Phinney’s slow recovery he might just be getting his full strength back as Wiggins is suiting up for his own crack. Will Cancellara have a go? I had assumed that Voigt’s ride would be used as an equipment test for Trek and Cancellara. He was planning but with the classic position of drop bars and so on. Now it’s much less certain, there’s the classics and then the Tour de France. Nothing’s public and it’s not easy knowing Wiggins is going in June. The change in the technical aspect has done nothing to diminish Cancellara’s undoubted prowess against the clock nor his standing amongst potential hour record challengers. I’d have thought the recent changes to modern equipment would bring it further within his comfort zone than before. Come on Fab, have a crack at it! I think the renewed interest in the hour is great, but I think the UCI need to insist on minimum standards as regards the broadcast. I watched the web coverage this morning, but without accurate on screen data (average speed being the obvious metric) it was difficult to engage with the effort. There wasn’t even an on-screen clock/timer, we had to rely on an occasional glimpse of a clock at the finish line to work out what was left. The commentary wasn’t that great either. The live feed continued with coverage of the track event within which the attempt had been scheduled and there were on-screen graphics for that showing forthcoming events, line-ups and the like. It was almost like whoever sorts out that kind of stuff didn’t know what to do for the hour record (or thought someone else would do it), resulting in a huge information void. Let’s hope lessons are learned from this attempt. weird isn’t it – Voigt’s attempt was all youtubed up and made into a big deal. It should be a ‘channel’ or series or something. It’s almost quicker to do a list of who isn’t considering attempting the hour! A brave attempt by a very impressive man. JB set the TdU alight with his panache and aggression. I hope he continues his career with the same swashbuckling style.